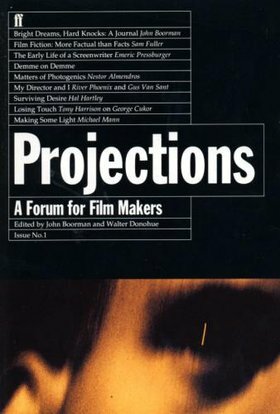 While browsing a downtown used book emporium this afternoon, I chanced upon and scooped up the first two issues of Faber & Faber’s film annual Projections. 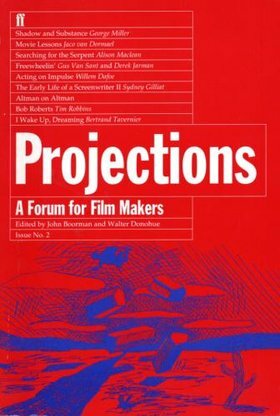 Founded by film director John Boorman and Faber Film editorial director Walter Donohue as a “forum for practitioners of the cinema to write about their work,” Projections began in 1992 and ran for 15 volumes. It now appears to have moved online in a truncated form, hosted by Focus Features.